Wiz Khalifa has been receiving some backlash these past couple days from the Asian community after he made reference to their eyes on his new album Rolling Papers 2 on the song “Hot Now.” Wiz spits "Smoke got my eyes lookin' Korean.” Wiz has since defended his line on The Breakfast Club this week, saying that he’s not racist at all. "Chill out, I’m not racist. I love all races," he explains. "I have Korean friends who are not offended, so I don’t know those people who are saying that. My art is up for interpretation,” he added. Well it appears Tyga is one of those friends who are cool with it. 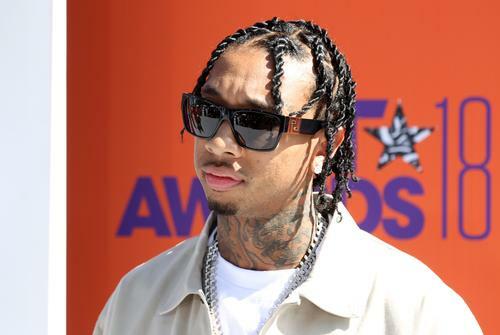 On Tuesday, TMZ caught Tyga leaving the Italian restaurant Il Pastaio in Beverly Hills, and asked him his thoughts on the questionable Wiz line, since Tyga is of Vietnamese descent. While he wasn’t aware of the line before the cameraman continuously read it to him and asked him questions, Tyga eventually said there was nothing wrong with it. “What’s wrong with it? Wiz my dawg,” Tyga said as he got into his foreign. Check out the brief clip (below) and let us know your thoughts on Wiz’s line? Should he apologize or is it not that bad? Curren$y Says He's Done His Part On Freddie Gibbs Joint Project "Fetti"
A$AP Rocky Isn’t Excited For 4/20: "I MISS MARY JANE"